7 Kids and Us: Jack's Pizza for Back to School Days! Kids are almost back in school! Time to stock up on foods which make a great snack after school or fast meal on days with lots of homework. 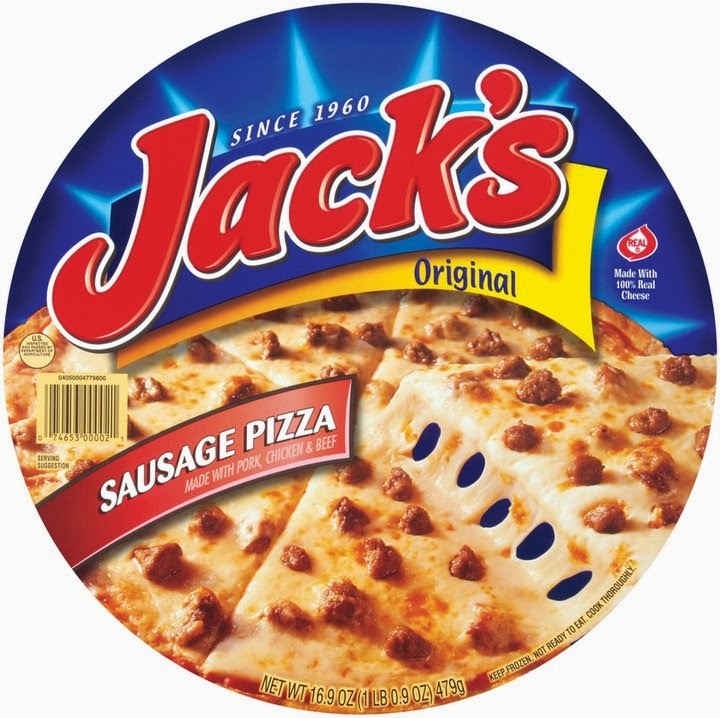 One of the things I like to stock up on before kids are in school is frozen pizza and a family favorite is Jack's. Jack's frozen pizzas have a huge selection of kid favorites along with your classic of cheese and pepperoni. I personally love Jack's because they don't waste time with a box. You see what your getting right away and you can fit more in your freezer. Another great feature of Jack's frozen pizza is that its innexpensive, so I can feed my kids and have money left over for the endless school supply list. Jack's is found in all grocery and major retail stores. You can't miss it because its a full round pizza with bright blue and bold red lettering.